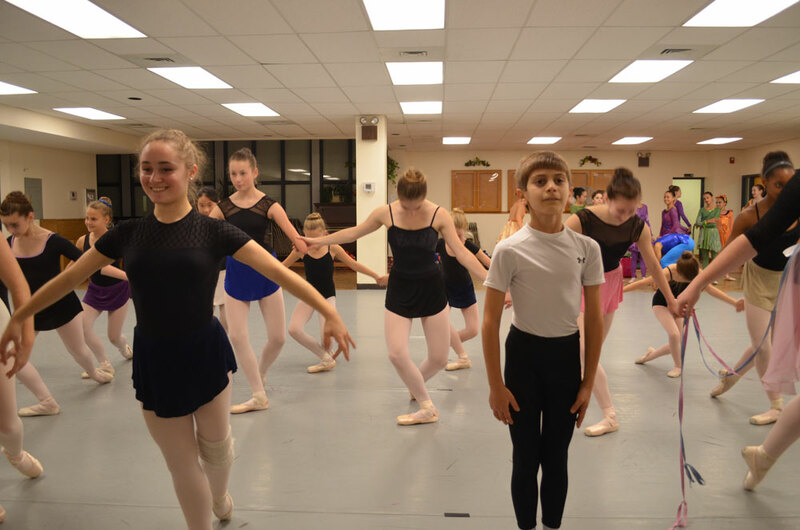 If the words "children&apos;s ballet" bring to mind a line of girls in tutus, awkwardly navigating the stage while staring at their feet, you haven&apos;t seen a production by Jenkintown&apos;s Metropolitan Ballet Company. Headed by founder-director Lisa Collins Vidnovic, this troupe comprises more than 60 dancers, both male and female, ages nine and up. And as I drop in for a rehearsal, it is apparent that they are focused, talented, polished and extremely athletic. Vidnovic is multitasking like crazy. With calm authority, she is pulling music from her library, shepherding dancers, collaborating with her instructors and mapping out the rehearsal&apos;s flow. She&apos;s also watching her cast, even if just out of the corner of her eye. She interrupts her conversation with me to advise: "Smile, everyone! Smile! You&apos;re going to feel bad if a picture of you is published and you look like you&apos;re going to a funeral." And immediately, the company grins in unison. The company, nicknamed "Met," is prepping for a set of performances November 19-20 at Abington Friend&apos;s School. Each day features performances at 1 and 4 p.m., and tickets can be purchased online. On the program is a dance adaptation of the children&apos;s story The Rainbow Fish. The source book, by Swiss author-illustrator Marcus Pfister has been adapted in various formats, including dance and an animated television series. The story uses a fish and her shiny, colorful scales to underline the importance of sharing. Met dancers will then tackle Act III from the Tchaikovsky ballet Sleeping Beauty. The Sunday performances offer the option of a fun and tasty tea party. This "Tea under the Sea" includes a reading of the book and snacks, and guests are encouraged to wear aquatic-themed outfits. "We&apos;re having a singing mermaid, flying fish, mermaid hair, and a storyteller," explains Vidnovic. Like many of her students, Vidnovic was bitten by the ballet bug at an early age. "I was that classic PBS commercial," she says. "I saw a ballet performance on television and begged my mother for lessons. She told me I had to wait until I was eight... I&apos;m not sure why. Maybe she wanted to make sure it wasn&apos;t just a passing fad." The product of a musical home - her mother was a pianist - Vidnovic spent decades with companies that include the Lyric Opera Ballet in Chicago and the Pennsylvania Ballet. From 1976 onward, her career evolved from performer to ballet mistress, teacher and choreographer. "Met has grown in so many amazing ways," Vidnovic says. "We now have a very ambitious scholarship program; we produce both new and classical works; we serve a 10,000-member community audience; and we pioneered what we call the ‘kinetic literacy program,&apos; an outreach that builds students&apos; math and English skills through movement." With more than two decades in operation, it&apos;s not surprising that Met&apos;s alumnae have gone far. According to Vidnovic, 23 of her former students - all of whom remain in close contact - are making their living on the dance stage. Their high-profile employers include the Kennedy Center, the San Francisco Ballet and the Broadway cast of Cirque de Soliel. The rehearsal moves onto an energetic Ukranian dance called "The Lark." The tempo prestissimo sends the male and female dancers bounding from one side of the rehearsal space to the other, clapping and stomping in rhythm. One of the instructors sharpens the performance: "I need character, here. It needs to be fun. You&apos;re birds, flirting with each other. Gentlemen, look into the eyes of your partner. Ladies, look back." He then spends time tweaking a difficult lift, making sure that both dancers safely execute the move, while looking energetically fluid and graceful. During a break, I meet Juan Castellanos. At 16 years old, he is already a Met veteran (a Met vet, perhaps), who has been onstage since he was eight. A student at Springside Chestnut Hill Academy, he started in classes as a three-year-old, and his future plans are to become a professional dancer. In the same way kids who are involved in sports admire standouts on the playing field, Castellanos is a fan of Cuban ballet dancer Carlos Acosta. Acosta escaped the poverty of Havana by dancing and went onto a spectacular 17-year career London&apos;s Royal Ballet. Outside dance, I ask about Castellanos&apos; other interests. "I follow sports," he replies. "I like basketball..."
He grins somewhat sheepishly, "...and the Eagles."